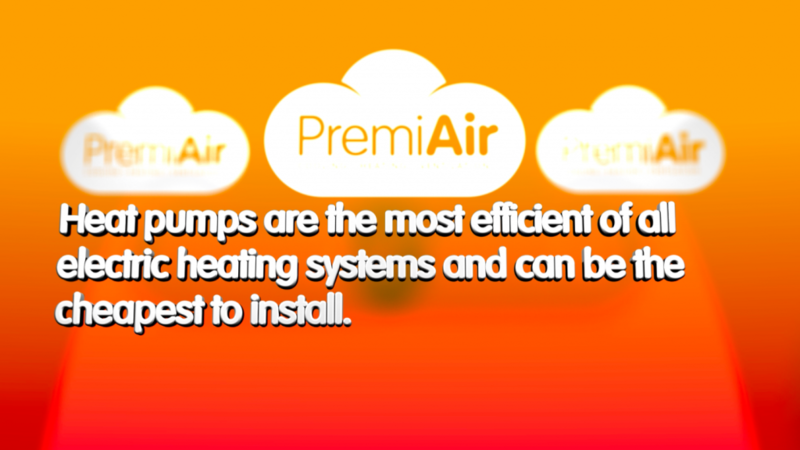 Heat pumps have the highest efficiency of any electric heating system. However, they do not cost less to run than gas fired systems. In addition, even if your intention is to use them only for heating, the availability of cooling can be a huge temptation in summer, and the cost of running the cooling will offset any winter savings made very quickly. Heat pumps are very effective heaters, but the systems must be designed carefully to make sure that they have enough capacity on the coldest winter days, as heat pumps lose heating capability as the outside temperature falls. In appropriate situations, heat pumps will be the cheapest overall instal of any, though the bigger the room is, the less likely this is to be the case. Heat pumps are rarely the best option for industrial heating applications.